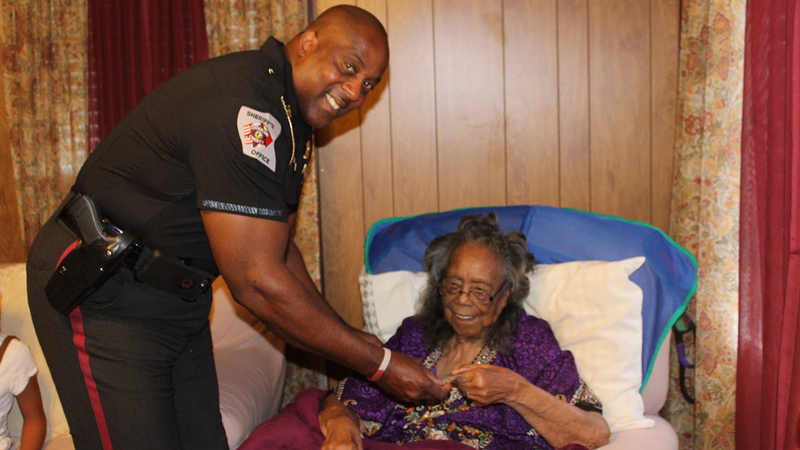 STEDMAN, N.C. -- The Cumberland County Sheriff's Office awarded a woman with an outstanding citizen certificate on her 104th birthday. Mable Smith Owens turned 104 on Saturday. Sheriff Ennis W. Wright awarded her with a certificate of appreciation that recognized her for being an outstanding citizen for more than a century. Besides the certificate, the sheriff also presented her with a coin, a letter and a #DoTheWrightThing bracelet.